From routine checkups to treatment or surgery, our podiatry office locations in Peoria, AZ and Wickenburg, AZ are equipped to handle all of your podiatric needs. Orthotics are medical devices that go into ones shoes that are designed to give arch support and control the function of your feet. Foot pain is often due to poor foot support and stability. Orthotics are often used with firm shoes and stretching to provide relief. 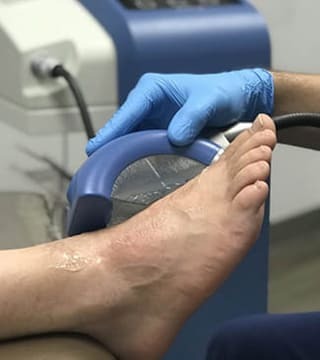 Shockwave Piezowave2 Therapy Treatment is a non-surgical, non-invasive, quick procedure harnessing low energy acoustic shock waves to heal chronic foot pain, ankle pain, ankle tendontis, plantar fasciitis, heel pain, and neuromas. Get pain relief fast. Short treatment sessions. Ankle pain may be caused from an unnatural twisting or force on the ankle or bones, or may be due to a ankle sprain. The ankle pain may cause redness, swelling, stiffness and warmth in the affected area. Other possible problems can include tendinitis. 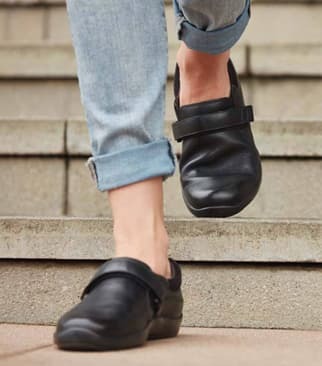 We offer a selection of diabetic shoes that are stylish and comfortable in a variety of colors and styles just like a fashionable normal shoe. We have many styles including diabetic work boots, to fancy dress shoes, casual wear and walking or running shoes.